As a manufacturer, you are committed to quality. Quality can mean different things to different groups within an organization. From a customer perspective, quality means that the product they purchase is reliable and performs to their satisfaction. From a manufacturing perspective, quality means conformance with manufacturability specifications. While delivering high-quality products usually translates to happy customers and increased profitability, the internal benefits of reduced scrap, rework, and defects in the manufacturing process mean lower costs and faster time to market. The problem a lot of manufacturers are facing is that the amount of effort it takes to create inspection documentation for quality control can be very time consuming. 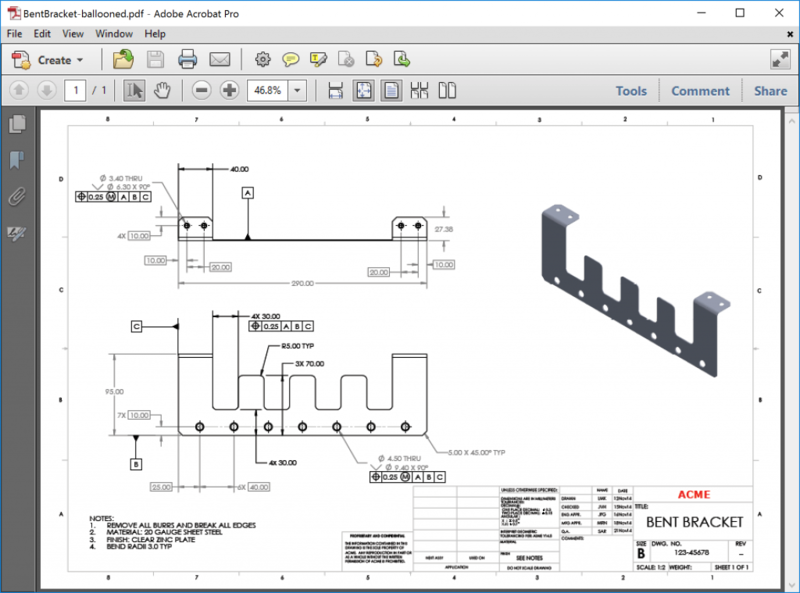 SOLIDWORKS Inspection software is designed to reduce the effort of professional quality control. Saves an enormous amount of time as creating an inspection report in native SOLIDWORKS takes about 60 seconds. Designers have the ability to communicate which dimensions are critical to the function of the part saving unnecessary inspection in the QA dept. Quality department can take over ownership of the inspection report to fill in additional information such as inspection method. Perform the inspection with the tool avoiding the need for unnecessary spreadsheets. Download our white paper using the form to learn how to ‘Optimize your inspection process to reduce costs and get to market faster’.